Koch Industries conducts an annual, complex HR recruiting campaign at universities throughout the Southeast and Midwest. Phone and voicemail, excel spreadsheets, and inadequate scheduling tools left the recruiters overwhelmed. 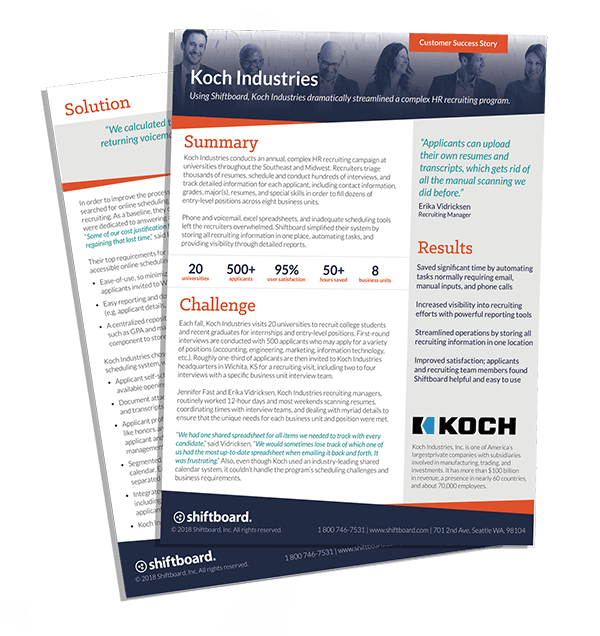 Shiftboard simplified their system by storing all recruiting information in one place, automating tasks, and providing visibility through detailed reports.